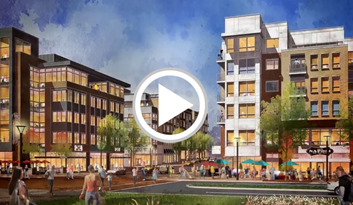 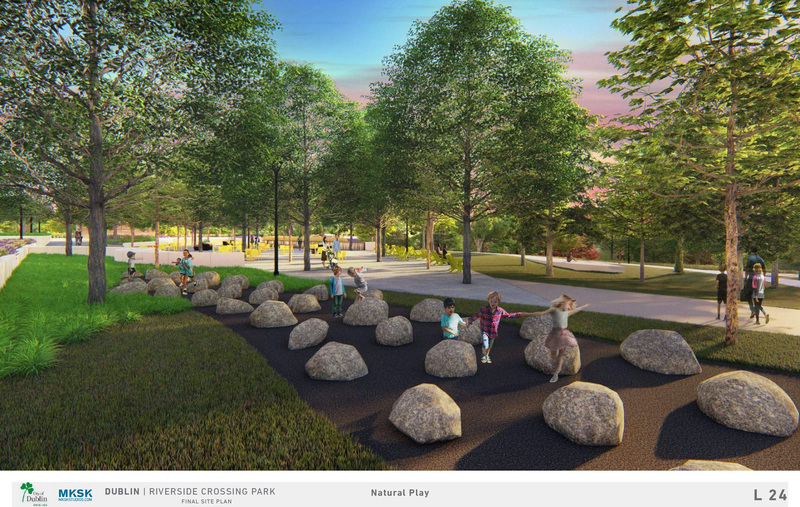 (Dublin, Ohio) Following over six years of extensive planning and public engagement, final development and site plans for phase 1 of the east side of Riverside Crossing Park are now available. 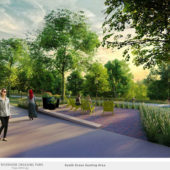 Members of the community are invited to learn more and provide feedback at a public open house Wednesday, July 11, 6-7:30 p.m. at the Dublin Community Recreation Center, 5600 Post Road in Dublin. 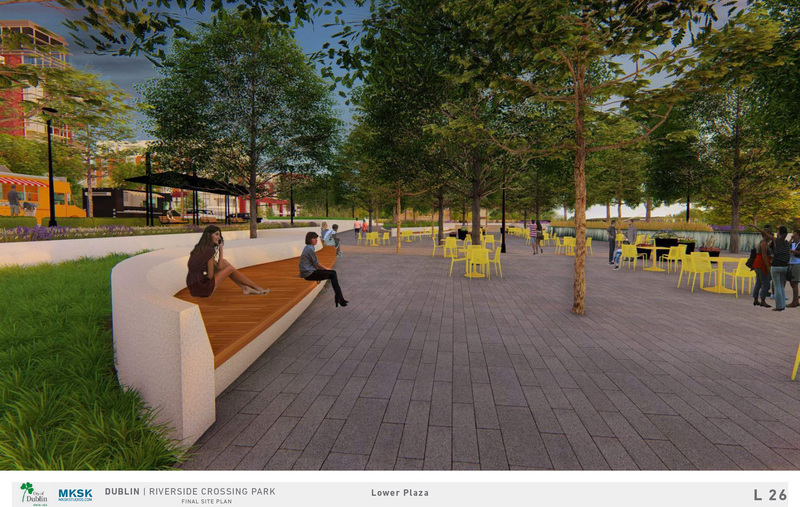 Those who cannot attend are invited to submit feedback online at bridgestreet.dublinohiousa.gov/riverside-park. 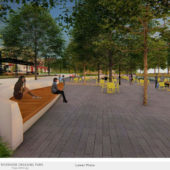 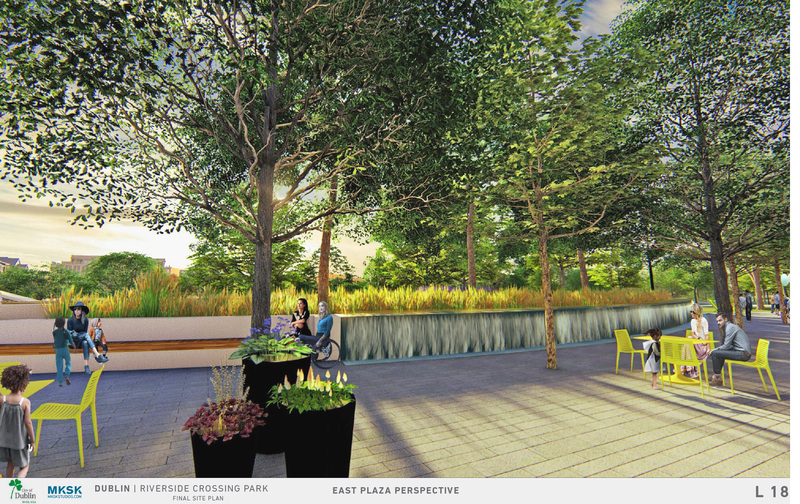 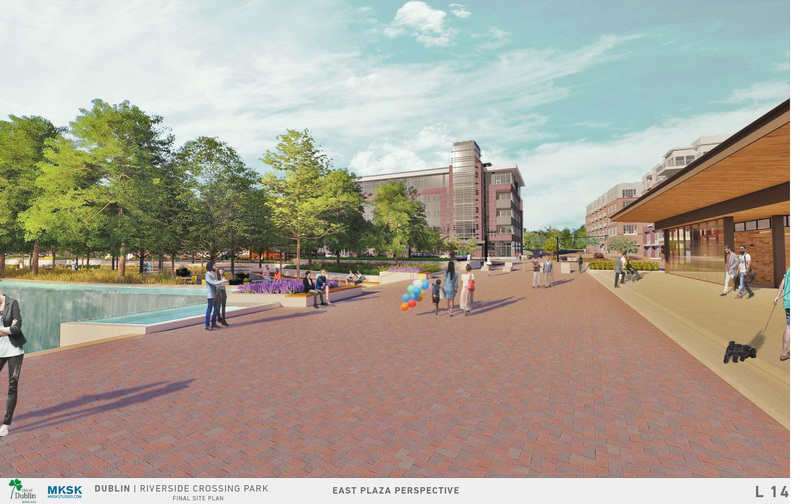 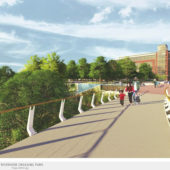 Located on the east side of the Scioto River at the landing of the future pedestrian/bicycle bridge, the East Plaza is planned as a center for activity and events at the interface between neighborhoods, the park and the river. 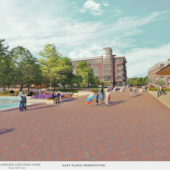 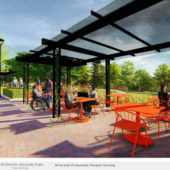 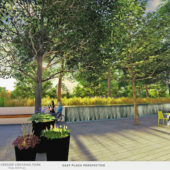 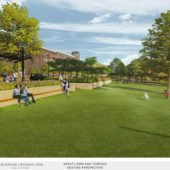 Improvements outlined in the development and site plans include a plaza landing, upper and lower terraces, a pavilion building with restrooms, a large green, seating, water features, landscape materials, and an underground maintenance facility. 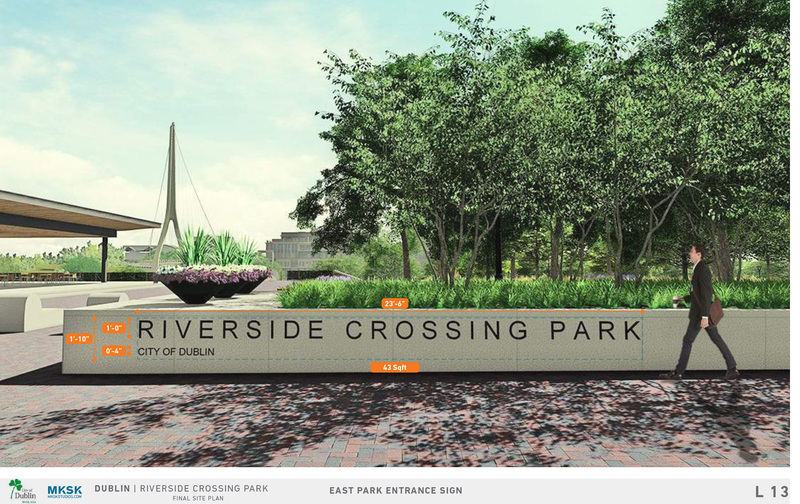 For more information, visit the project page: bridgestreet.dublinohiousa.gov/riverside-park. 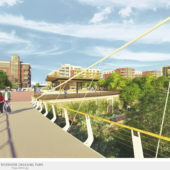 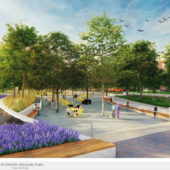 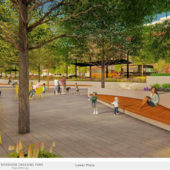 The Scioto Riverside Park Master Plan outlines a transformational vision for one of Dublin’s most important civic and natural spaces, which will connect Historic Dublin and the heart of the Bridge Street District. 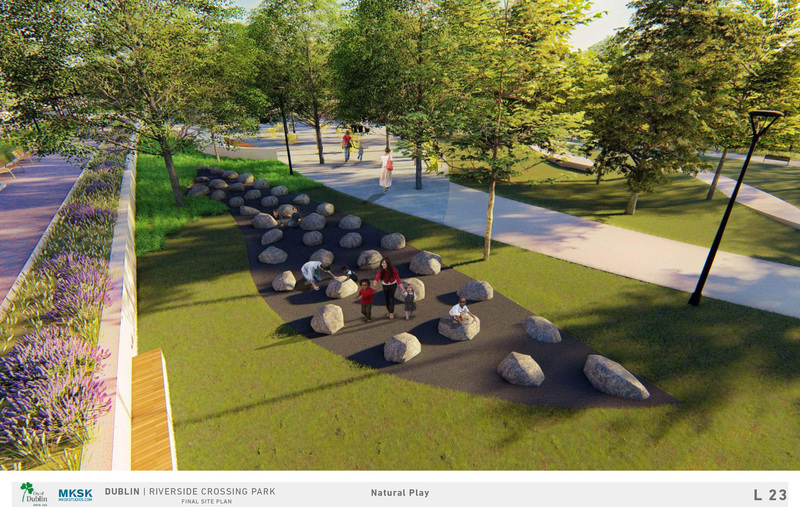 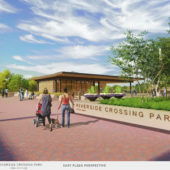 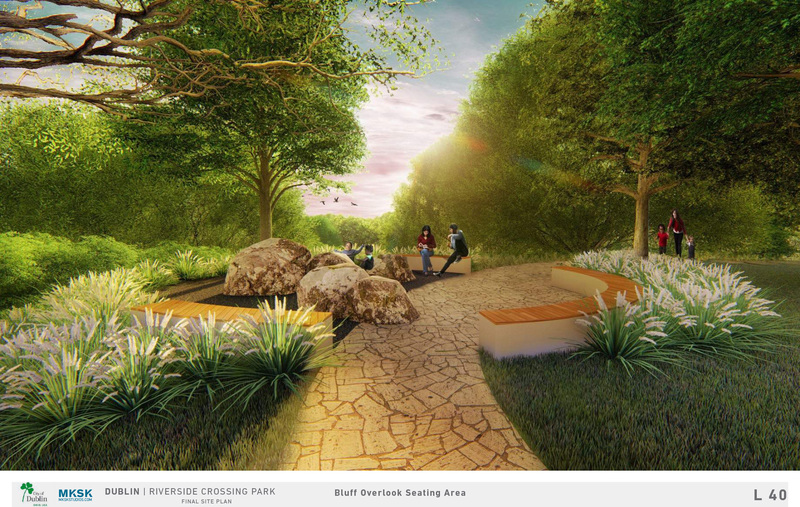 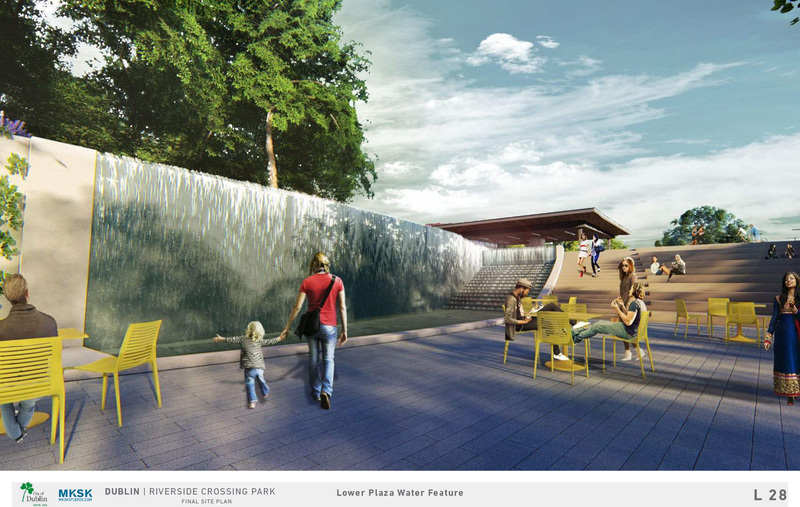 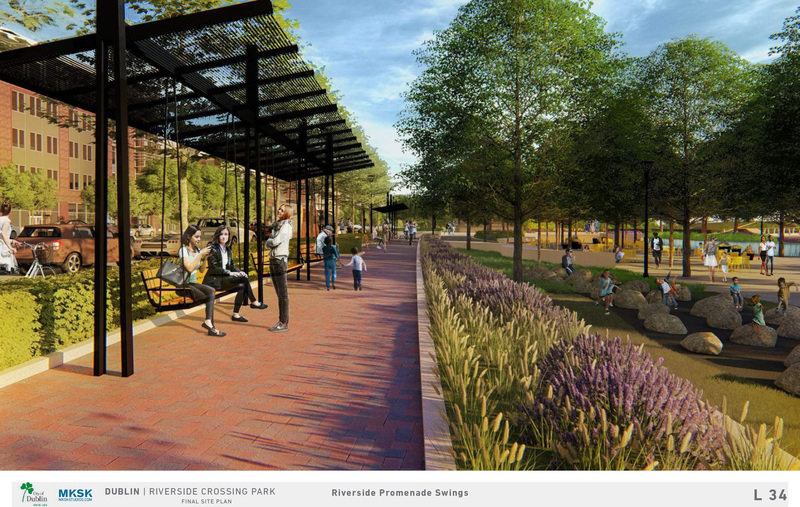 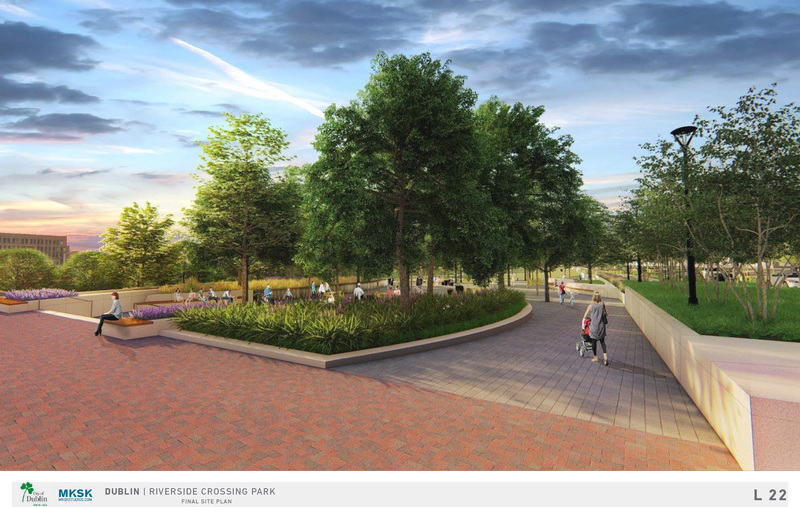 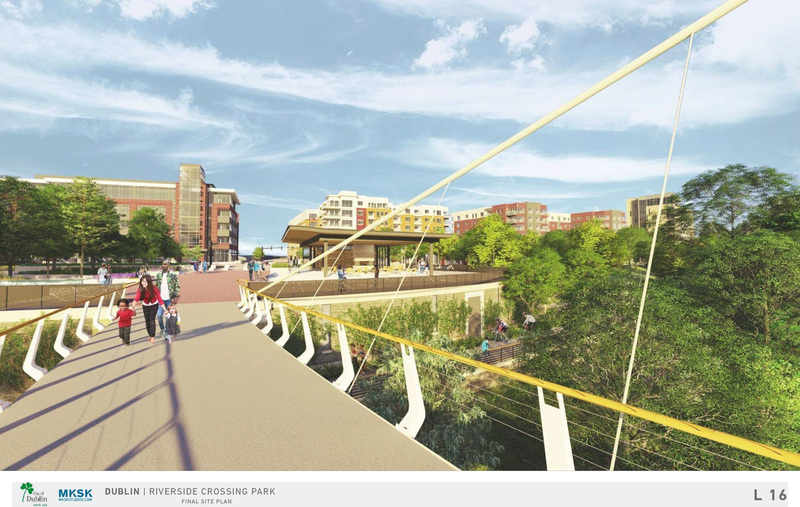 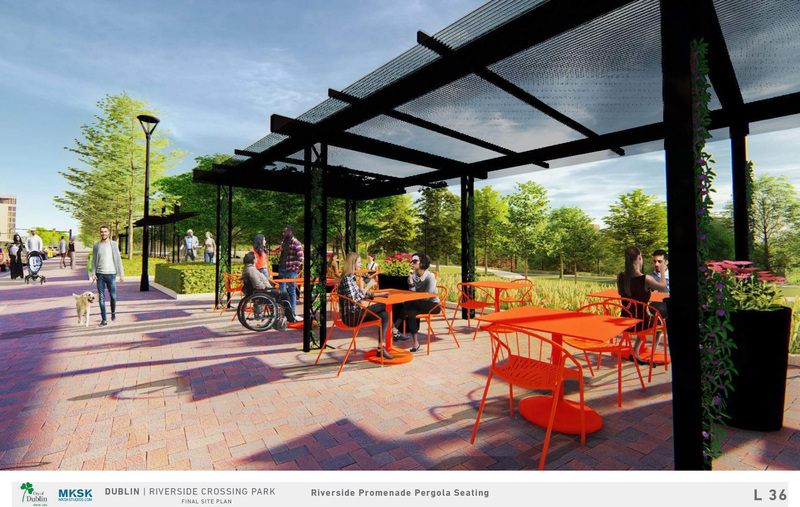 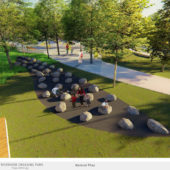 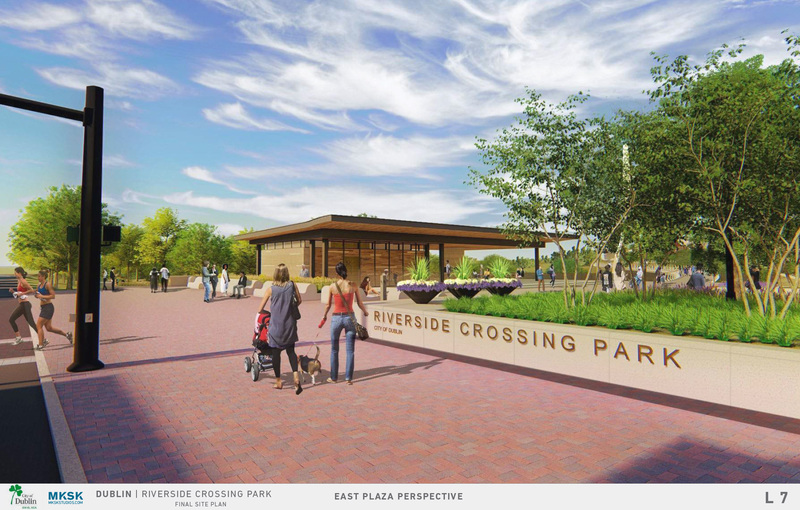 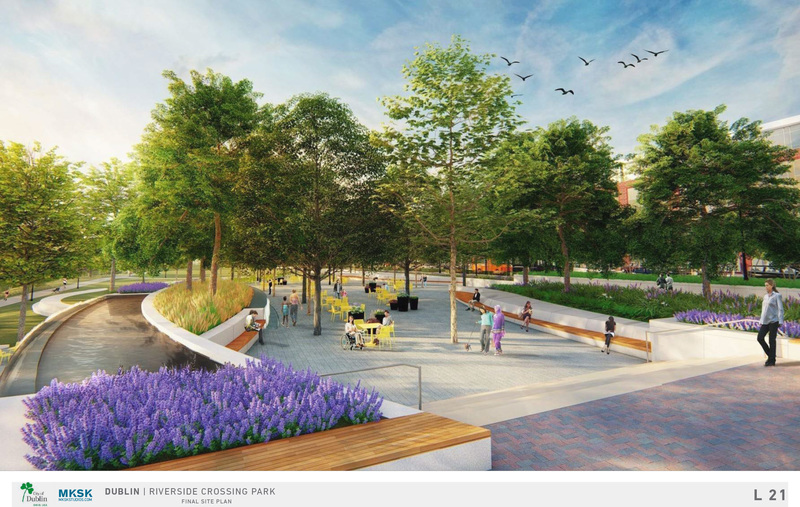 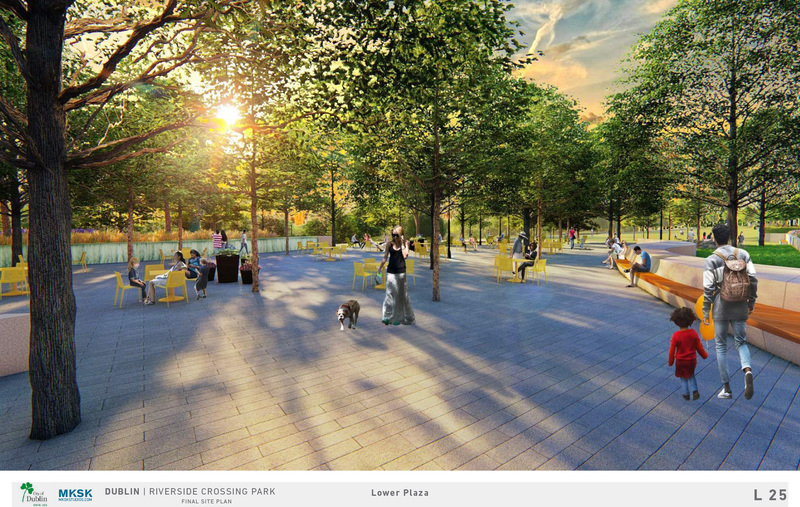 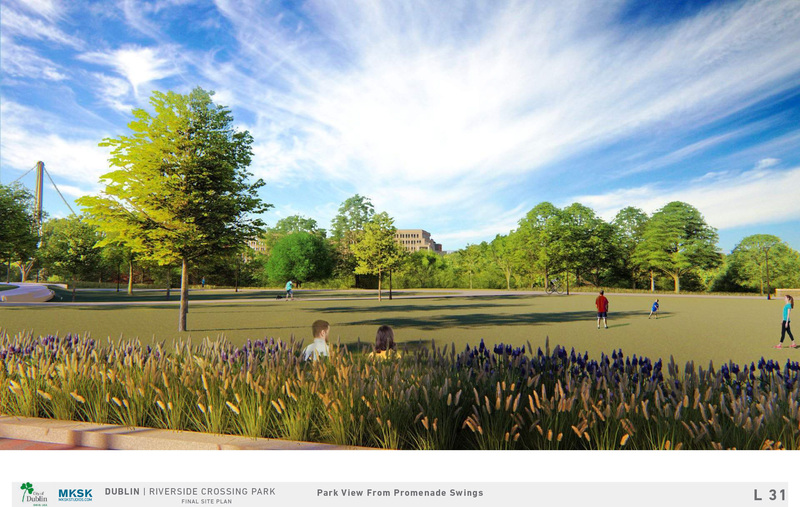 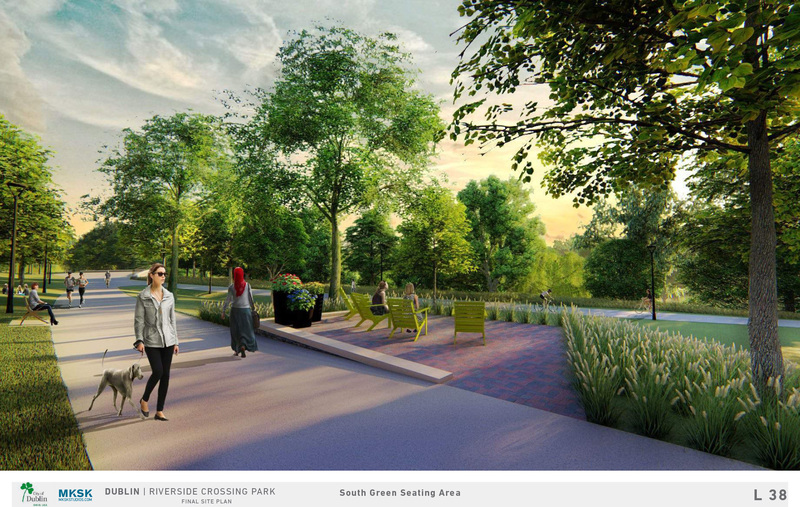 Riverside Crossing Park will be part of a broader system of nearby parks and local recreational systems, linking to these assets through extensive bicycle/pedestrian facilities, canoe/kayak access points, and scenic natural connections. 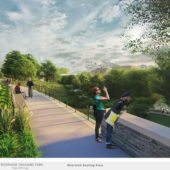 The west side of the park is envisioned as a more naturalized area with connections to the Indian Run greenway, water access and trail systems. 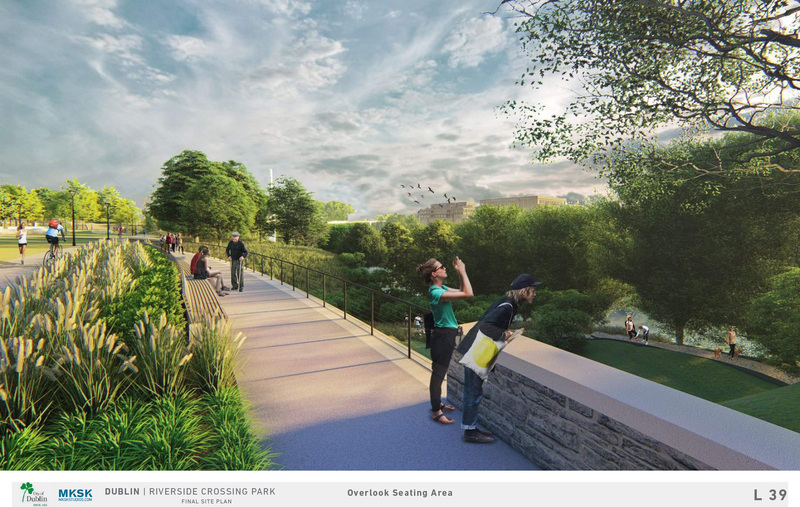 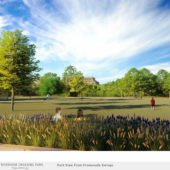 The east side of the park is elevated outside of the floodplain and will feature areas for public gatherings and cultural events, recreational programs, pavilion building, rock climbing, planting beds and scenic river overlooks. 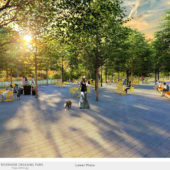 The two sides of the park will be linked by a pedestrian/bicycle bridge, with public plazas providing access to restaurants, shops, a new library, and the broader mix of destinations east and west. 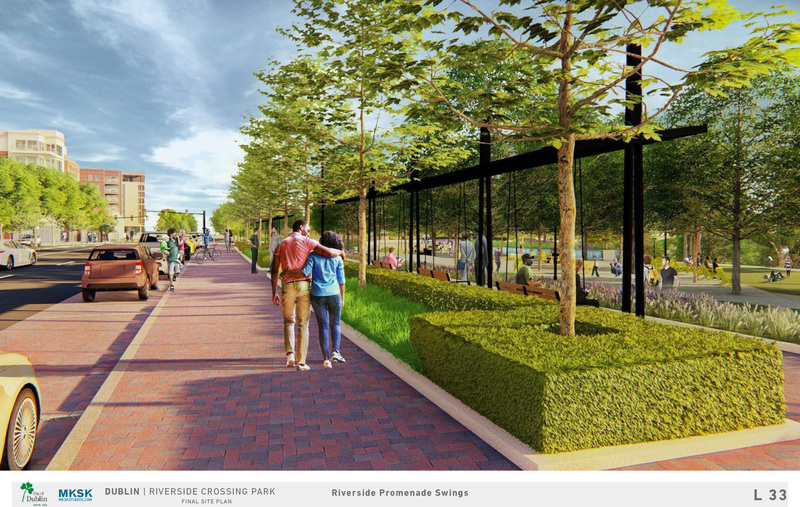 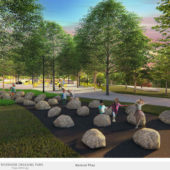 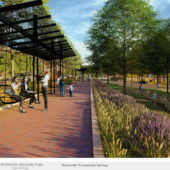 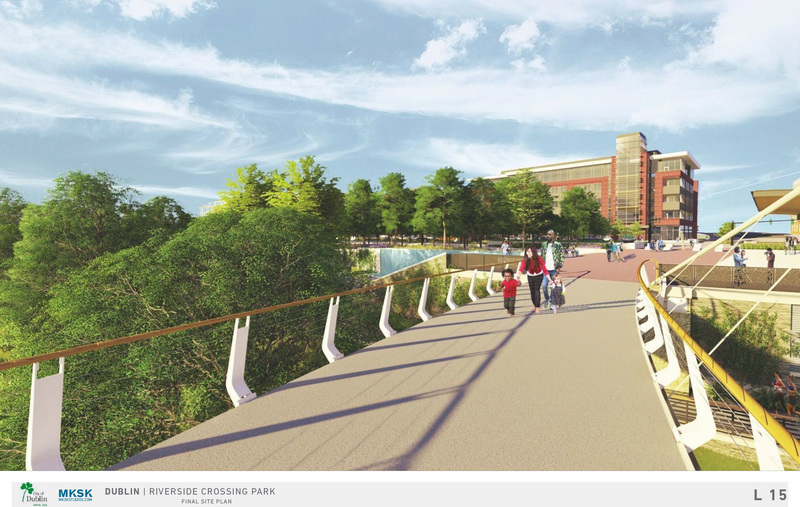 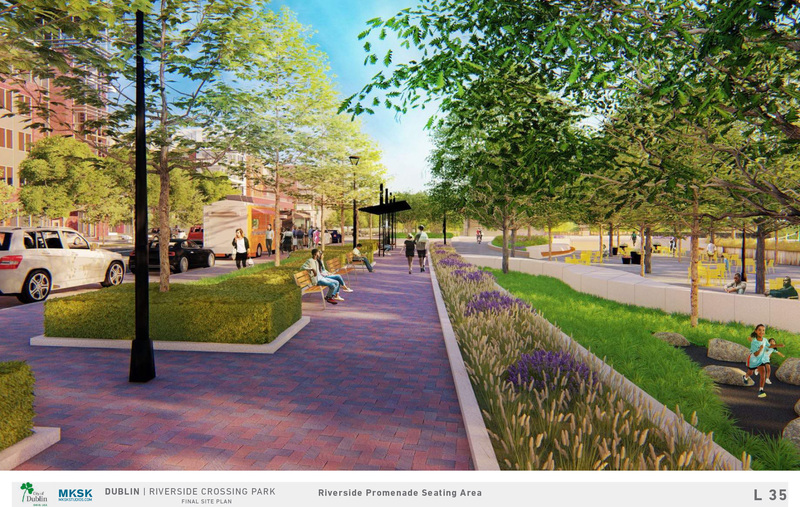 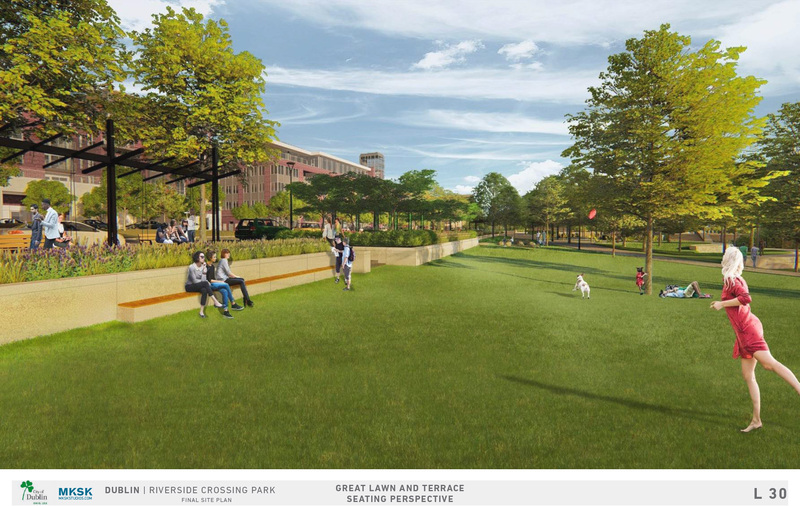 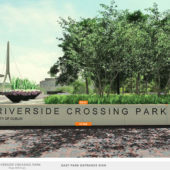 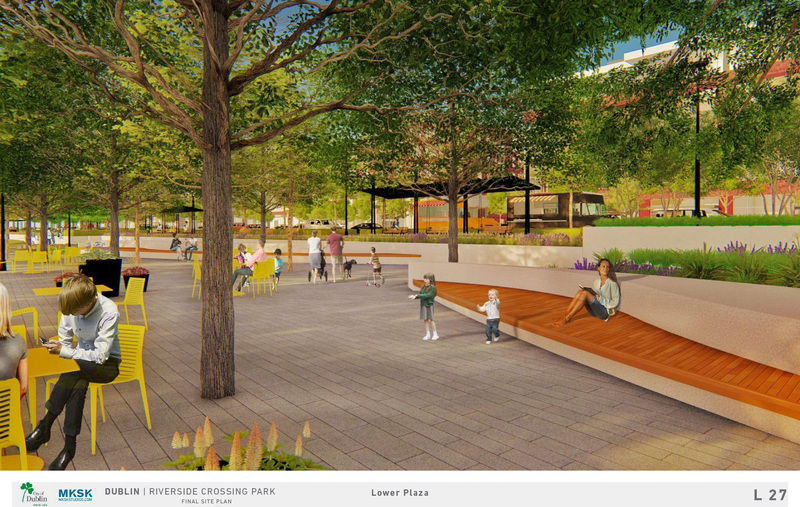 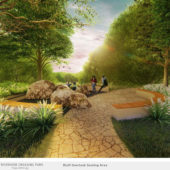 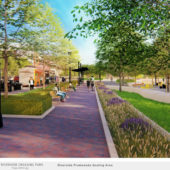 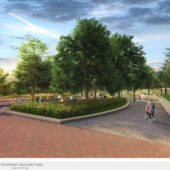 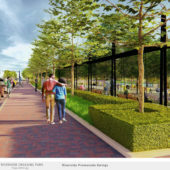 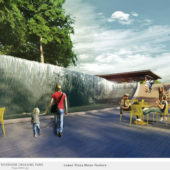 For more information view the Scioto Riverside Park Master Plan at BridgeStreet.DublinOhioUSA.gov.